Easter is just around the corner and it is the perfect weekend to spend some quality times with your friends and loved ones over some delicious treats. 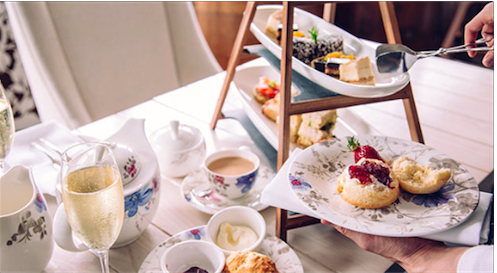 For one weekend only, the Award-winning ABODE Bistro & Bar at PARKROYAL Darling Harbour, Sydney has created two special offers – Easter Feast & Easter High Tea to satisfy your seasonal cravings. . 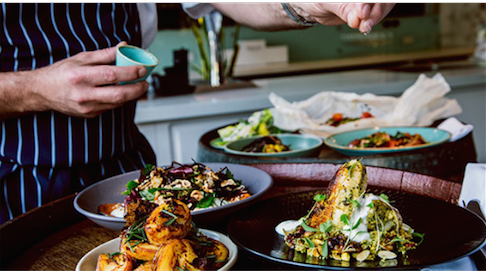 Located on the city side of Darling Harbour, the innovative ABODE restaurant is popular with locals and visitors alike – and deservedly so. It offers high quality causal dinning at its best. The Easter packages are the perfect examples of this culinary philosophy. Available on Saturday 31 March 2018 and Sunday 1 April 2018 for lunch and dinner, Easter Feast package allows you to indulge in a rosemary and garlic slow roasted lamb shoulder with all the trimmings and a selection of desserts to finish from Raspberry Lamington to Gianduja Chocolate Cake. Priced at just $60 per person, the menu is designed to share. For an extra $25 per person, you can upgrade to a two-hour beverage package. If you are after something a bit lighter, Easter High Tea will do the trick. Available on Saturday 31 March 2018 and Sunday 1 April 2018 from 11:30am to 4:00pm, it includes a selection of savoury bites, delectable desserts and traditional favourites matched with Dilmah tea blends. Priced at $65 per person and includes two-hours of sparkling wine!